Andrei Tarkovsky was a movie director that has very much affected the way that I look at and think about many things, certainly the way I think about photography. He’s responsible for altering the way that I look at many of my subjects. What I would normally see as unimportant I now see as very important. In movie making, I have a huge appreciation for intricate plot lines, fast paced editing, and mental saturation. Films with these attributes allow you to watch again a 2nd time or even a 10th time and notice things you didn’t notice before. This adds depth to what you’re seeing and lets your opinions and moods weigh in more heavily on interpreting the meaning. In the case of Andrei Tarkovsky, we have the very same kind of depth going on, but the pace is much slower and you might at first be feeling that there’s nothing going on at all. Yet this slower pace forces you to notice more within a smaller boundary of consciousness. You’re presented with less over a longer period of time, so you’re given extra time to notice what you might ordinarily miss. Tarkovsky had the bravery to slow way down. He wasn’t trying to be tricky or overly-clever. He was simply following the path of his vision. He was never presented with a huge film-making budget to work with and he made only seven films. You won’t find any special effects in these films, he didn’t have any use for them. Isn’t it logical that if you slow down you’ll see more of what is right in front of you? Do you really need to purchase expensive equipment or visit far away locations to see something worthwhile or to discover what it is you’re after? I think there is something to be said for doing a lot with a little. As photographers, we could certainly benefit from this line of thinking. Training our minds to see what is right in front of us is both practically and aesthetically rewarding. The result of Tarkovsky concentrating on smaller details over longer periods of time is that the seemingly unimportant becomes very important. We zoom into the fractal and those seemingly small or even unseen details become magnified. What we never thought was worth noticing is now commanding our attention. 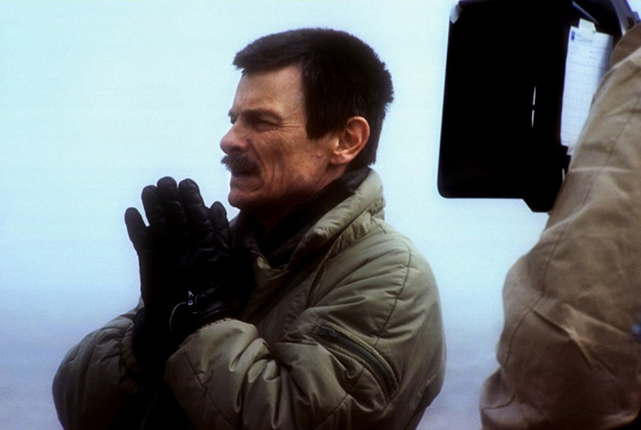 I’m inspired by the fact that Tarkovsky was brave enough to follow his vision knowing that it was against the flow. He knew that his movies would most likely lose money in the theater, yet he followed his vision anyway. Many artists do this as well at times, out of necessity and lack of money. But Tarkovsky had the weight of movie studios, actors, and all of the crew and critics on his shoulders. He somehow convinced them all that his vision was worth pursuing and watching. 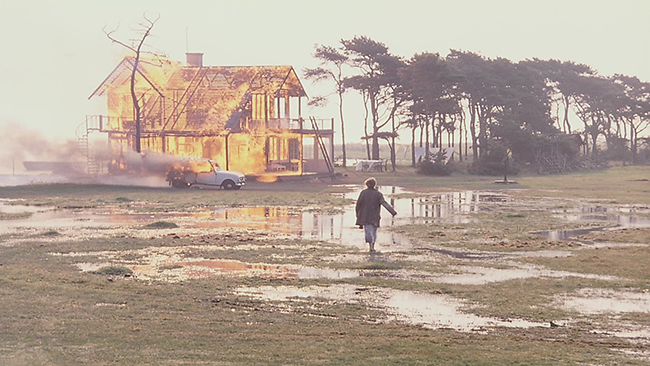 Assuming you’re talking in terms of plot, very little seemingly transpires during a Tarkovsky movie, yet so much transpires in terms of emotion and vision. I think we can all learn something from this, or at least contemplate the nature of it. We can certainly add these aesthetics to our bag of artistic tools, and bring them out when we need them. Below are a few great contemplative Tarkovsky sequences. Here we have a sequence of three men riding a train, from the movie “Stalker”. We hear the sound of the train in the background and we note their individual expressions and emotions. This sequence is again from the movie “Nostalgia.” A man must light a candle and walk the entire length of a pool and when he reaches the other end he will die. The wind blows the candle out multiple times and he must return to the other end of the pool to relight it. The sequence goes on for nine minutes. 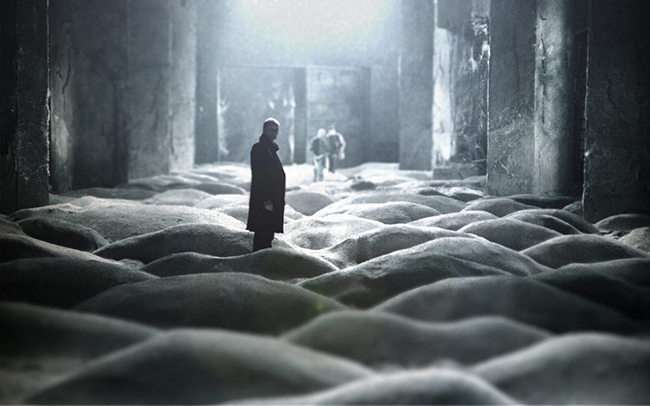 I was inspired by Tarkovsky to create the movie below that utilizes my own visions and techniques towards scale, but plays upon Tarkovsky’s aesthetic for bringing the insignificant to prominence. It was mostly shot in the farmland near where I work during my half hour-long breaks each day. I call it “One of Tarkovsky’s Dreams”, as if it were a dream that Tarkovsky might have had. I suppose you could say not much happens during this movie. Yet depending on your point of view there’s also an entire universe here. I hope these Tarkovsky sequences inspire you the way they inspired me. 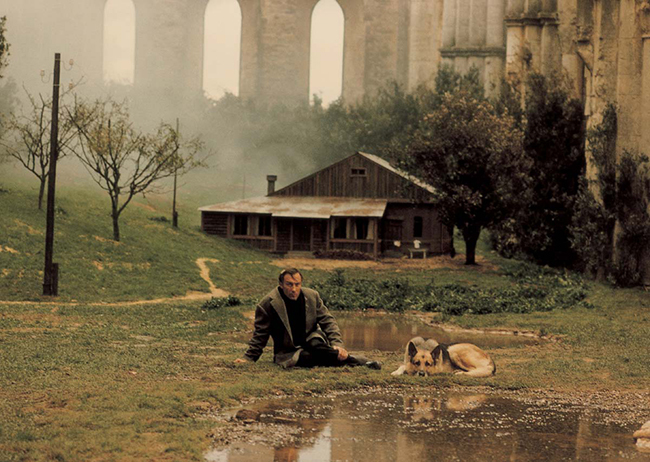 If you haven’t seen a Tarkovsky movie from start to finish, I would highly recommend doing so. You might discover the power of the seemingly insignificant.